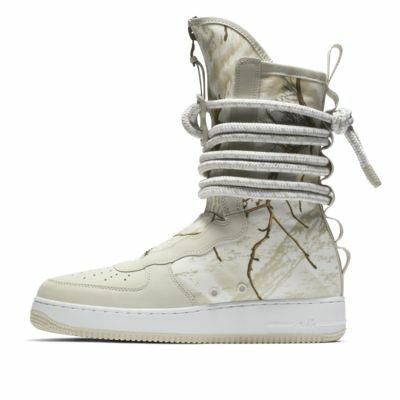 The military-inspired Nike SF Air Force 1 High Realtree® is built for ultimate urban utility. It features a quick-cinch closure system and bold design elements like rope lacing and reflective details. Love the Triple-Black SF AF1s. They have a more durable synthetic material that should be tougher than the leather on the lower-tiered models. One bit of advice on sizing: because the material on the triple-black pair is synthetic & has a zipper, they dont stretch much thus you should go a half size up. I verified this by ordering 9 and 9 1/2... My usual 9 squeezed the feet to the point where it became uncomfortable after 10 minutes. 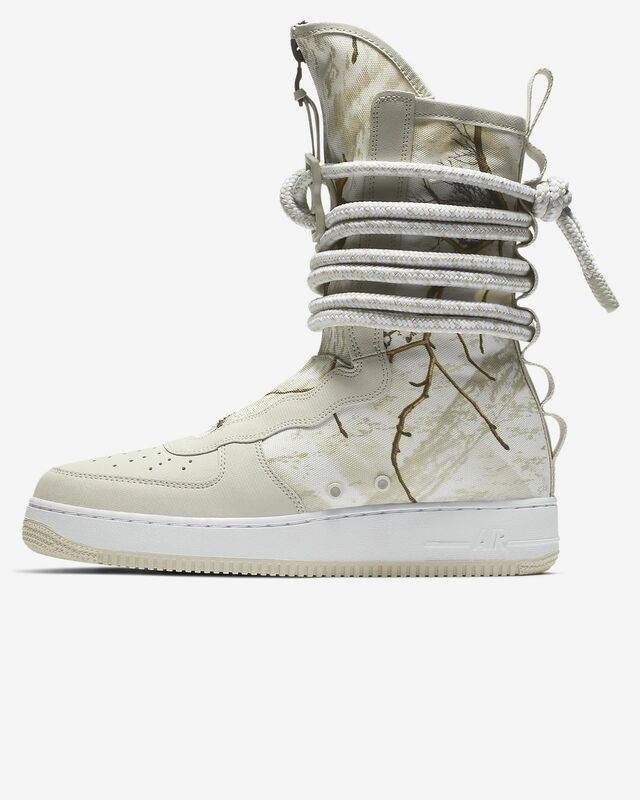 As for other SF AF1s, I noticed that the suede and leather pairs are more comfortable and are true to size because the material stretches with wear. Other than that, this color is beastly! This review also applies to the Triple-White Ibex pair (synthetic). Great Shoe - Ridgerock color, not so much. I am a sneaker head and I just got my first pair of these on this specific boot like hight top style in the SageGreen Color and they look AMAZING, great color, they are comfortable and of course very unique, I will be ordering other colors !